I never imagined being an author or having a book published, but now I have four with four more in the works! Publishing a book is a great way to get your message out and make it available to others. Launching Your Dreams: Making WILD Ideas Happen! Now in it’s 3rd printing, Launching Your Dreams has grown into a very usable guide for taking that wild idea and making it happen. Many have a dream that they’ve wanted for a long time and just haven’t been able to get moving. Maybe it’s just been sitting on shelf, collecting dust. Being a dreamer is greatest when you live the dreams. Learning to create your dreams in your life is even greater, because once you learn HOW to do this, you can do it over and over again! Launching Your Dreams outlines the process Donna used to realize this and other life dreams. With a background in education, Donna has helped people achieve their goals and realize their dreams for over 30 years. Donna has taken her personal experience and training into the field of coaching and the opening of her own business, coaching others to realize their dreams/vision and potential. The new revised edition of Launching Your Dreams includes many new features. You will find a new chapter on leadership including 10+ Steps to Being the Leader of YOUR Life, and a new chapter on Celebrating Change. 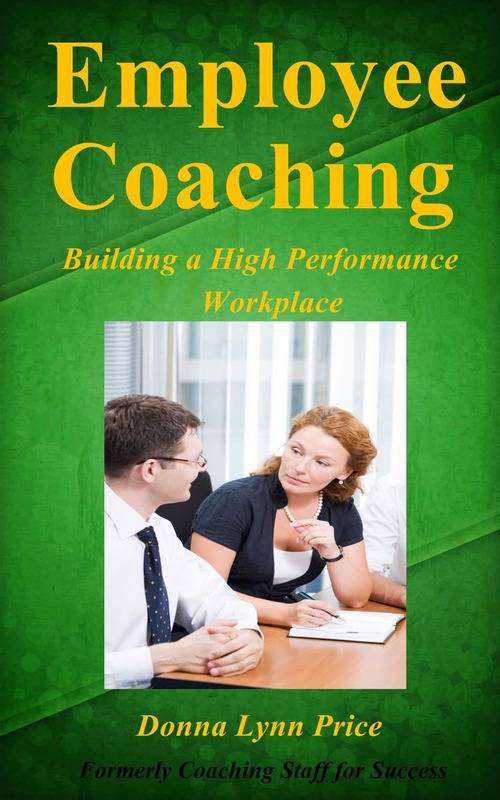 This guide helps managers transition their workplace into a coaching focus rather than a top down micro-management structure. Donna guides you in using the performance appraisal as a tool for increasing employee success and ultimately the organization’s success. Now in its second edition printing, Employee Coaching provides valuable resources for managers, business owners and supervisors. It is an easy read with real world examples that managers can relate to. Many managers didn’t train to supervise employees, it just happened, as a part of the organization’s promotion structure or as a business owner. Learning to be an effective manager can be challenging. Creating a positive work environment that also has a structure and expectations that are clearly defined, helps organizations to grow. Donna’s most recent book, takes years of training in the area of marketing and online marketing for small businesses and puts it into a concise, readable book. Yes! Marketing Works! is based on the frustration of so many small business owners, that feel that they are throwing money after money and not getting the results that they want and need. Donna provides a guide for small business owners and leaders to become marketing masters and love marketing because it is working in their business. Marketing should be a system that is predictable, not a hope and a dime. Yes, marketing can cost money but it should not be a blank check or a bottomless pit. Your marketing should work for YOU and generate business so that it feels fun and exciting because it is working, it’s predictable and easy! If it doesn’t meet these criteria then there is work to be done to fix your marketing! !